Here at Detail King we like to give auto detailers and car enthusiast all the tools necessary in a single place. 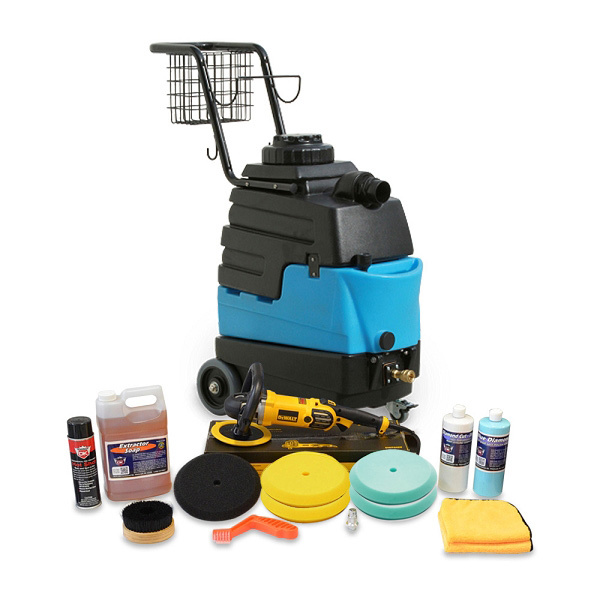 This DeWalt DWP849X Buffer package comes not only with the DeWalt DWP849X Buffer, but also with the Mytee Lite 8070, so that you may offer interior upholstery cleaning. This Mytee 8070 and DeWalt DWP849X Buffer Package is perfect for enabling you to do light to heavy compounding, glazing, and express waxing of the vehicle. Also, be able to offer a full interior cleaning! Break out the DeWalt DWP849X Buffer and begin to remove 800 to 1,200 grit sand marks and scratches with our Diamond Cut Ultra compound. Follow up with our Blue Diamond Polish to remove light imperfections & swirls plus this product will add paint protection while restoring a wet look shine.